My name is Malin. I had the opportunity of volunteering at Paraiso del Burro for 3 weeks. During my time there I took lots of photos. This is a selection of my photos. Hope you enjoy! 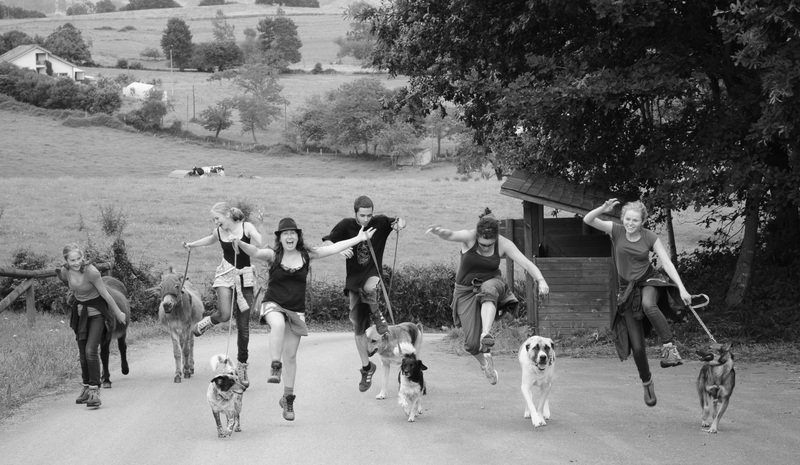 donkeys and dogs walk volunteers! 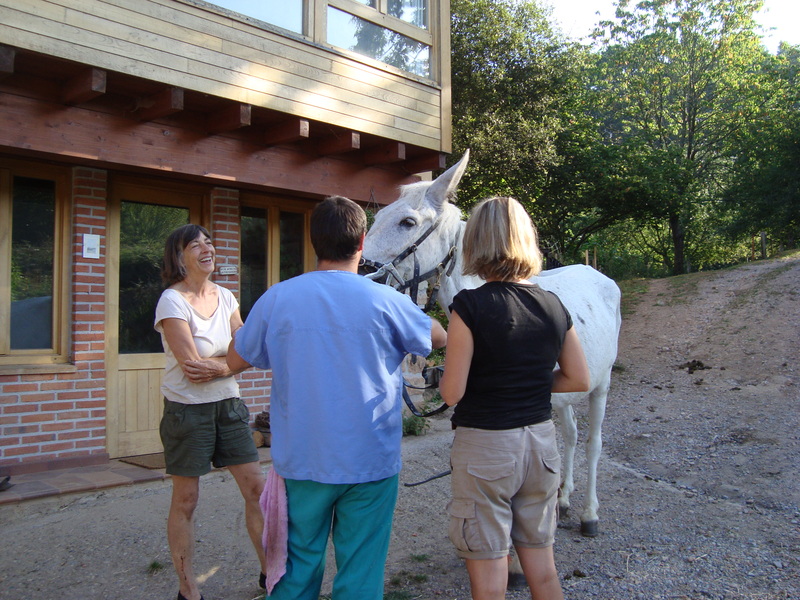 From 10th July until 20th of July 2012 we worked as volunteers at “Paraiso del Burro”. We are three girls from Holland ( living in Denmark) called Eline, Astrid and Lianne. Together with our parents we stayed at the cabana, which is a beautifull small house, in the grounds of Paraiso del Burro, which is available for rent. 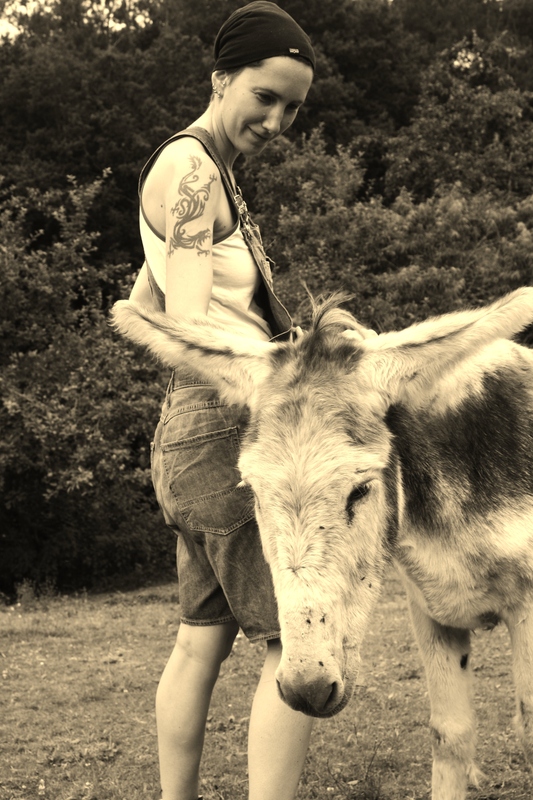 Whilst our parents were holidaying we helped Marleen to take care of the donkeys. On Thursday 12th of July a picnic outing with all the volunteers and two of the donkeys, Kees and Sammy, was organised. All the volunteers came along. This was a great international group; Catherina (Ireland), Settor (Spain), Maya & Merlin ( Sweden). The 5 dogs joined as well on this trip. We walked together to the “area recreative” on top of the hill. Here we met Marleen who had brought a nice lunch. A great group of enthusiastic people enjoyed the beautiful surroundings. Even the donkeys joined in; although they were supposed to eat the grass they managed tomget away with some pieces of our lovely bread. After the really relaxing lunch we returned to ” Paraiso del Burro” to have our siesta. 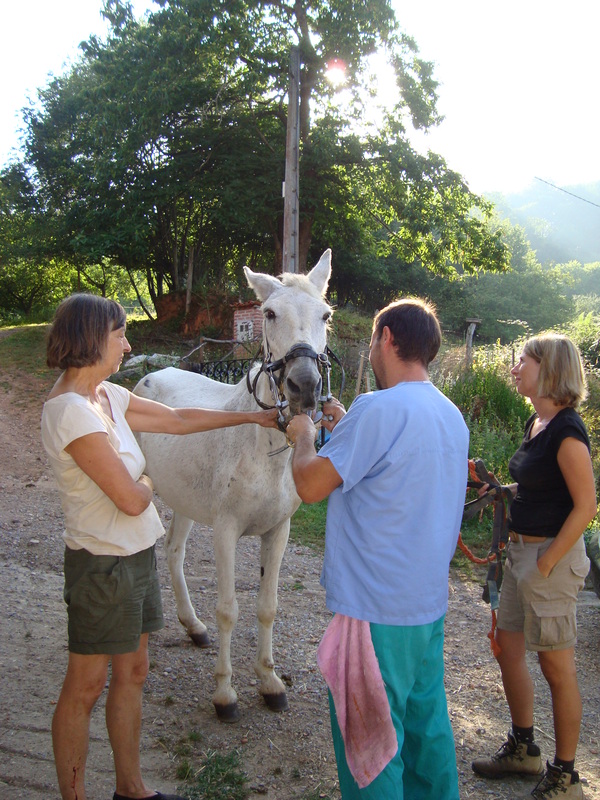 To walk with the donkeys and to have a picnic with the mixed group of volunteers was a real good experience. Working together to take care of the donkeys and in the same time meeting people with different backgrounds is a great experience. The donkeys at “Paraiso del Burro” really live in paradise, and so did we for a little while. A big thank for Marleen and Catherina for making this possible for all the donkeys and also for giving us the opportunity to take part in this project. Hopefully we are able to return to Paraiso del Burro soon.